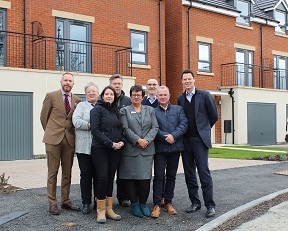 Cheltenham’s MP Alex Chalk, together with Cheltenham Borough Council Councillor for Springbank Councillor Suzanne Williams and Hesters Way Partnership’s Andy Hayes have toured Newland Homes’ Newland Gardens development, on the site of the former Springbank shopping centre in Cheltenham. The visit was the culmination of many years of the local housebuilder working in collaboration with the local council, MP and stakeholders to regenerate this neglected area of the town. It follows a previous visit at the start of the development, to show what had been achieved. 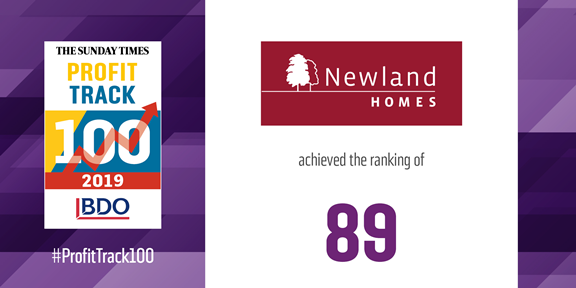 Jeremy Drew, Design Director for Newland Homes said: “Newland Gardens is an example of how high-quality homes that meet the needs of local people and the local area can be brought forward by working collaboratively with local stakeholders, the council and our MP. Everyone has contributed towards its success and we’re proud to show it off. The result is first rate, as was promised from the beginning. Above: The final piece of security fencing from the former Springbank shopping centre is removed now the redevelopment of new homes is largely complete. 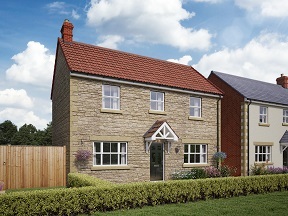 In recognition of the commitment and determination over many years by the Borough Council in bringing about the change, the row of four-bedroom homes fronting Pilgrove Way have been called Morris Walk, after former Councillor and Mayor of Cheltenham John Morris, who promoted the vision to turn around Springbank. Councillor Suzanne Williams said: “This site was important to John Morris, a former colleague of mine. He would have been very pleased to see how amazingly different it is now. The area looks fabulous. 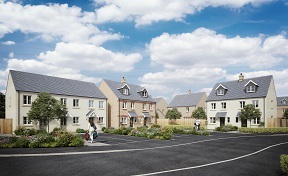 Andy Hayes of the Hesters Way Partnership commented: “The last 10 to 12 years have been transformative for Springbank and this is the last piece of the jigsaw. The former shopping centre area had always struggled and this blighted, forgotten area had ended up separating the communities around it. Now, with Newland Gardens they have all been brought together and all the ‘no-go’ areas have been removed. 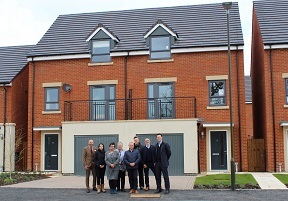 Above l to r: Chris Parker, Marketing Manager Newland Homes; Cllr Suzanne Williams, Heidi Wood, Site Manager; Andy Hayes, Hesters Way Partnership; Erica Povey, Sales Advisor for Newland Gardens; Jeremy Drew, Newland Homes' Design Director; Dale Martin, Area Build Manager Newland Homes; Alex Chalk MP.